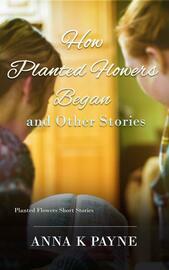 The Planted Flowers series is a collection of Christian cozy mystery novellas. These six stories follow women who hope to draw closer to God. The trials and dangers they face cement their bonds to each other, restore their relationship with God, and open their hearts to the men in their lives. But what is Planted? Why are their seven woman with flower names in one group? Who is Diana? Who is Winifred? These questions and more are answered within. Join me as we learn more about the people of Planted!